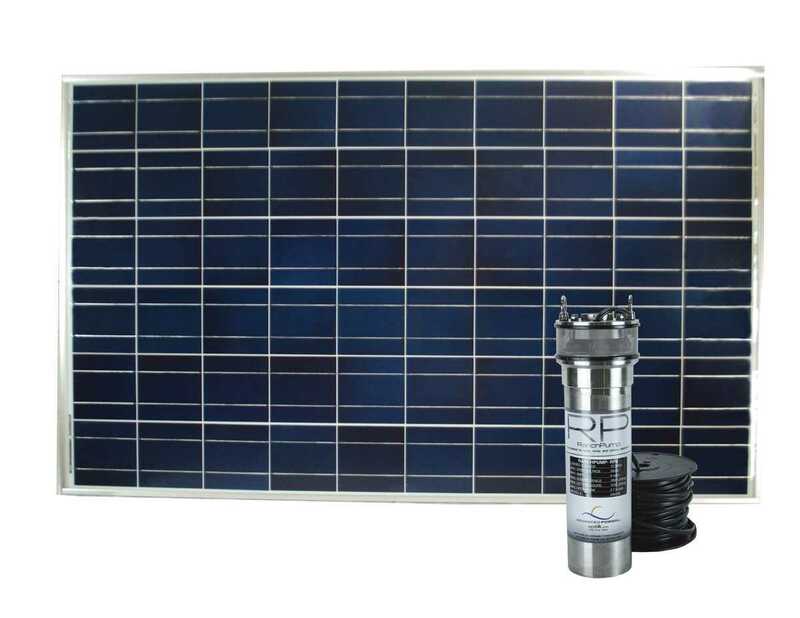 Get a total API solar pumps package when you purchase one of the complete systems that best suits your watering needs. 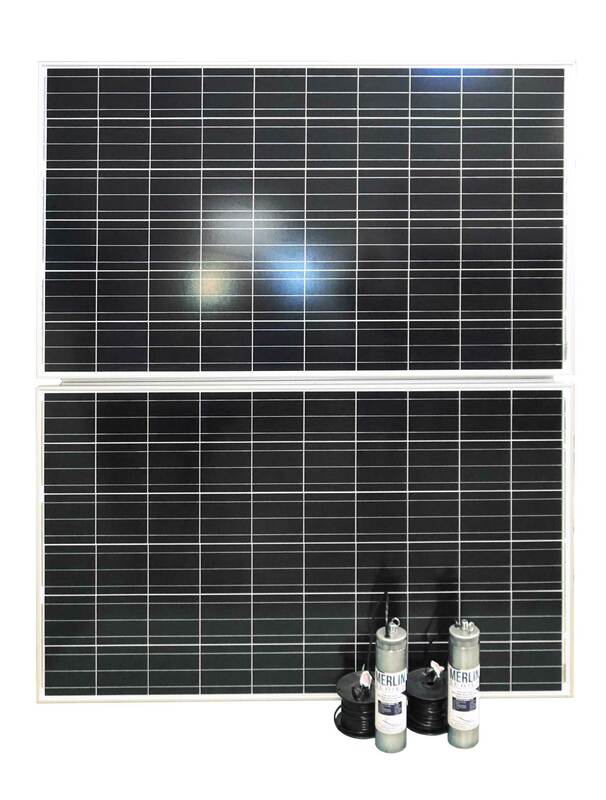 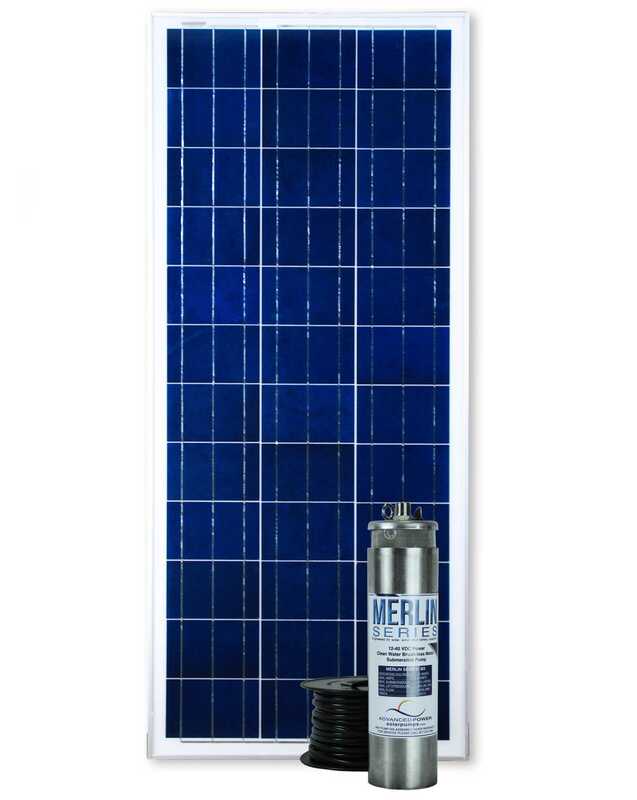 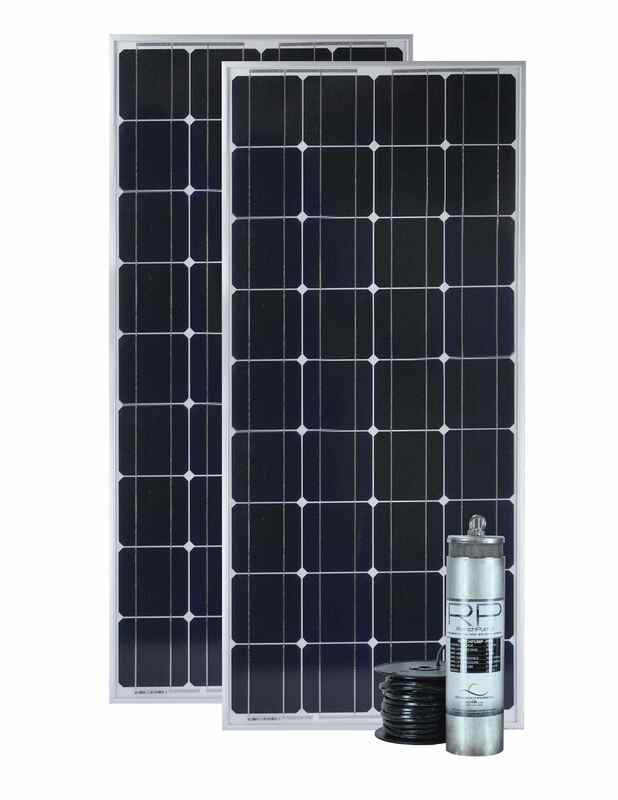 These single- or multi-panel systems include a rebuild-able brushless DC solar water pump, 100 feet of pump wire built-in to the pump, solar panel(s), back of panel aluminum mounts for top-of-pole applications, wire harnesses for easy plug-and-play, and a nylon pre-filter kit. 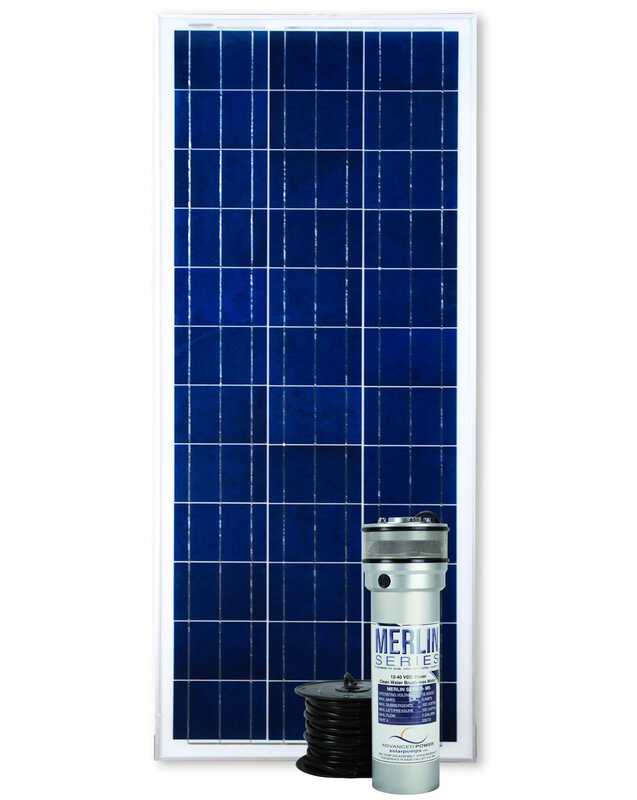 GPD= Gallons Per Day based on 7-hour run time. 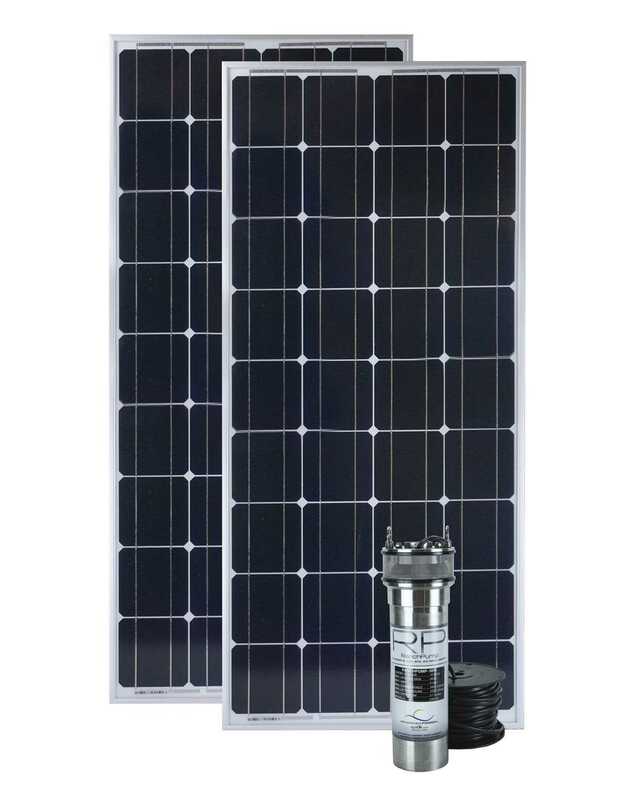 Shop through our complete solar pump systems and contact us with any questions you may have. 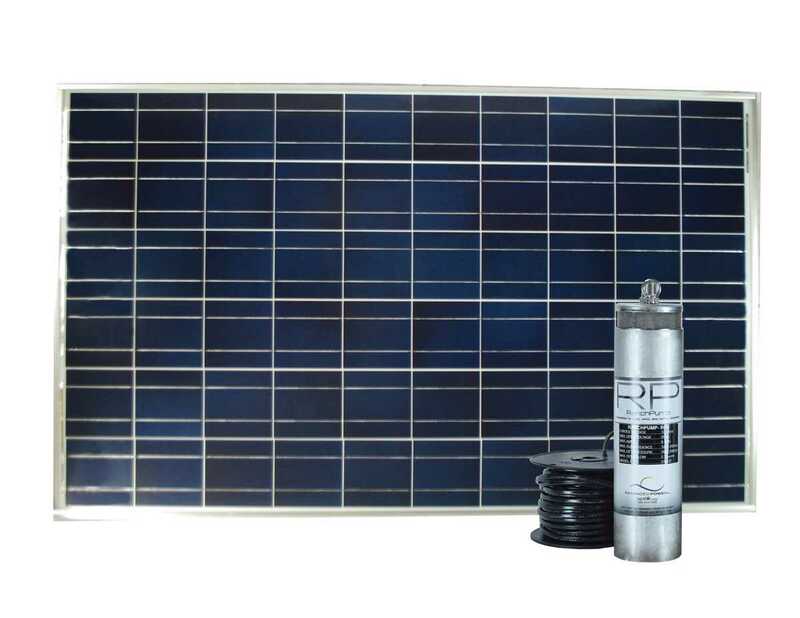 Advanced Power Inc. has several NRCS-OK approved solar water pumping systems. 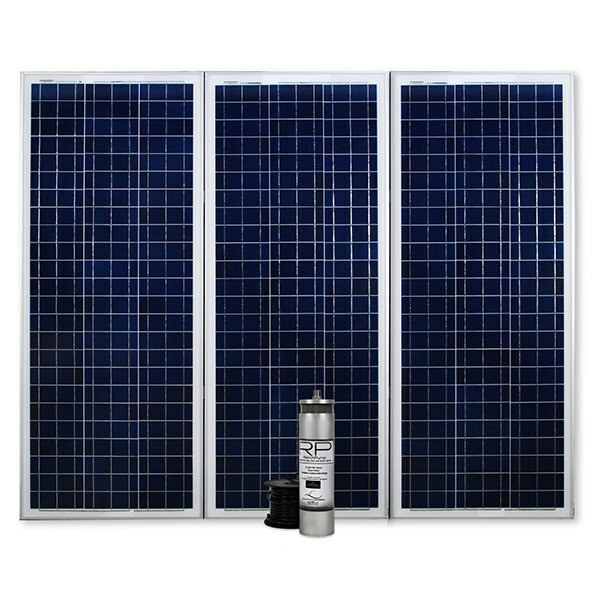 These purchases are eligible for tax rebate incentives that ultimately reduce the cost of a new solar pump system. 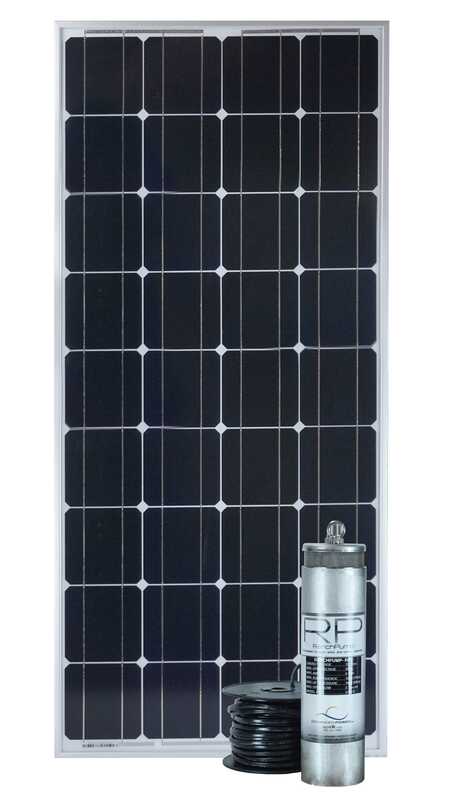 These products also feature extended warranties.